Are you looking for a gaming notebook that you could carry with you every day? 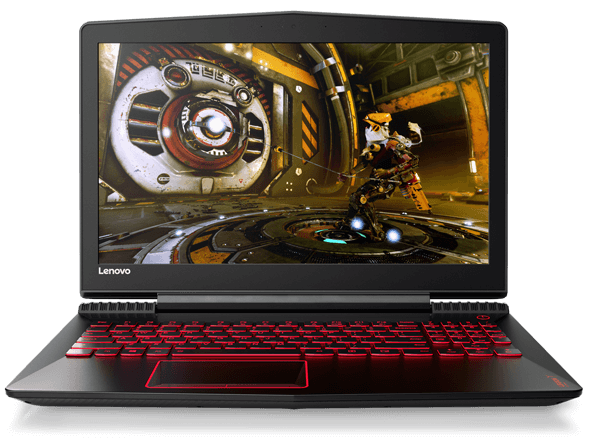 The Lenovo Legion Y520 gaming notebook powered by the Intel Core i5 7300HQ Kaby Lake processor and the modern NVIDIA GeForce GTX 1050 Ti graphics card with 4GB of memory is the right choice for you. It features a metal chassis that makes the notebook beautiful as well as rigid. It will thus handle thousands of hours of exciting gaming. The Intel Kaby Lake processors are pushing the limits again a little further. When combined with the NVIDIA Pascal graphics chip, it guarantees a higher FPS in every game. In addition, the processors are highly energy-efficient, which is an important feature of a notebook. The notebook is equipped with a high-quality 15.6" Full HD display, which is perfect for both gaming as well as for watching films. The device also provides award-winning premium quality sound delivered by two Harman 2W speakers with Dolby Audio Premium. 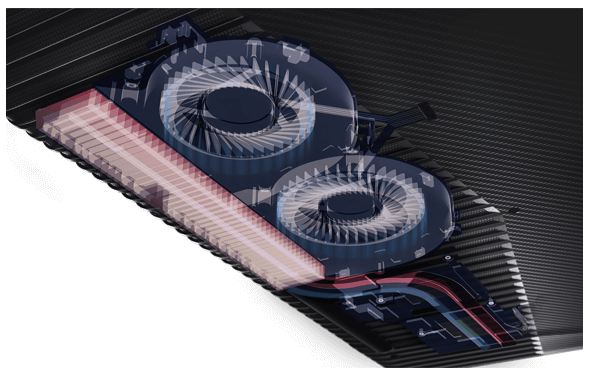 The cooling system of the notebook is designed to regulate the temperature of the device using strategically positioned fans and ventilation holes. 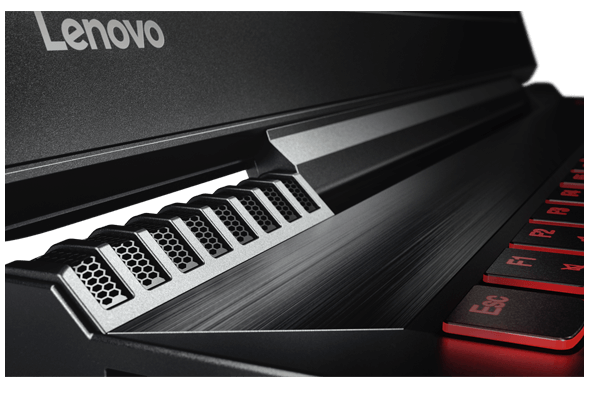 Additionally, you can use the Extreme Cooling feature with the Lenovo Nerve Sense app to increase cooling performance when playing demanding games. It is a software that allows you to adjust settings to suit your needs. With this app, you will be able to easily customise the night-time keyboard backlight, set keyboard shortcuts for maximum gaming performance, and enhance the sound with the Dolby Audio Premium technology. 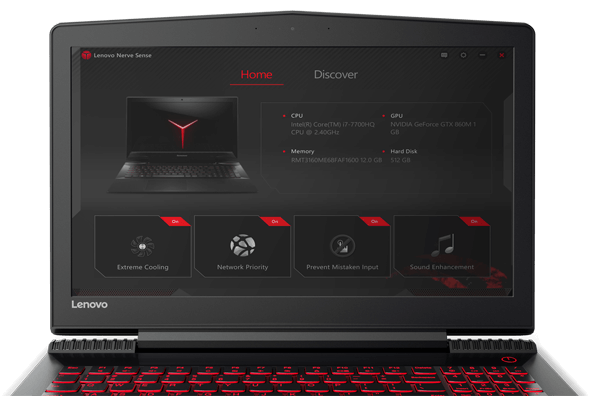 It's your gaming notebook, so you can adjust it how you want.